This article originally appeared in the March 7-9, 2014, edition of CounterPunch, and was first published in Spanish on CubaDebate. It was released for the first anniversary of the passing of Hugo Chávez Frías, and is reproduced here given that it is a personal account from one who knew and travelled with Hugo Chávez. A year has passed since the physical parting of Hugo Chavez and it’s still impossible to accept. His voice was a constant in revolutionary Venezuela, his discourse was a school in continuous development. A humble man with a noble soul, Chavez had the courage of warriors and a heart filled with patriotism. He defied the most powerful interests without ever flinching. His hand never trembled, he never bowed down, he was always firm with serenity and conviction, ready to confront the most powerful threats. His value was immense, a soldier of the people, a giant of centuries. Knowing him was a privilege and a priceless treasure. Chavez had an impact on the world, leaving his fingerprint in struggles and dreams of social justice, from north to south. His legacy is transcontinental, without borders. “Chavez” translates to a symbol of dignity in all languages. I had the honor of accompanying him on several of his international trips. I witnessed the massive support he received on almost every continent. His mere presence inspired millions. He represented the dreams of so many struggles, so many commitments to humanity, and he proved that another world is possible. All around the world people ran to see him up close, anxious to hear his words full of hope, simple yet full of profound intimacy. Chavez breathed love, and although millions received him with open arms, there were always dangerous threats around him. He was unpredictable, always a step ahead. Washington called him a “wise competitor”, and coming from the US government that wasn’t only a compliment, but evidenced his grandeur. Not even the empire could control him. In May 2006 I was on a book tour in Europe with the publication of the German and Italian editions of my first book, The Chavez Code. While finishing up my events in Germany, I had the luck of coinciding with President Chavez’s visit to Vienna, Austria for the Latin America-European Union summit. I arrived at the hotel where the presidential delegation was staying and after greeting familiar faces in the lobby, I went to my room to rest. An hour later, I went downstairs to see what was going on and to find out the president’s schedule. When I entered the lobby, the friendly presidential protocol officer informed me we would be leaving in a few moments. He asked me to join them in the caravan. I hadn’t yet seen the president but I assumed we were heading out before him to an event, so I got in the car with the delegation. They took us to a place in the center of Vienna. When we arrived, we saw an enormous amount of people, mainly young, who were both outside and inside the venue. “What is this place?”, I asked. “It’s a popular cultural center here called Arena”, I was told. We got out of the car and saw thousands of people around the place. There was an event that evening with none other than President Hugo Chavez, leader of the Bolivarian Revolution. A while later, when we had entered the venue to see the impressive amount of people there, I was approached and told that I would be speaking at the event that night, there in front of the European crowd. “What an honor”, I thought, to participate in a public event in Vienna alongside Chavez. The evening air was brisk and so many people kept arriving that they didn’t fit in the venue. The organizers decided they had to change the event from inside, where only 500 people fit, to right outside in a public square, where thousands could arrive. Never before had there been a phenomenon like this in Vienna. Thousands of European youth had gathered outdoors in a Viennese square to listen to a Latin American head of state. The quantity of people present was spectacular. 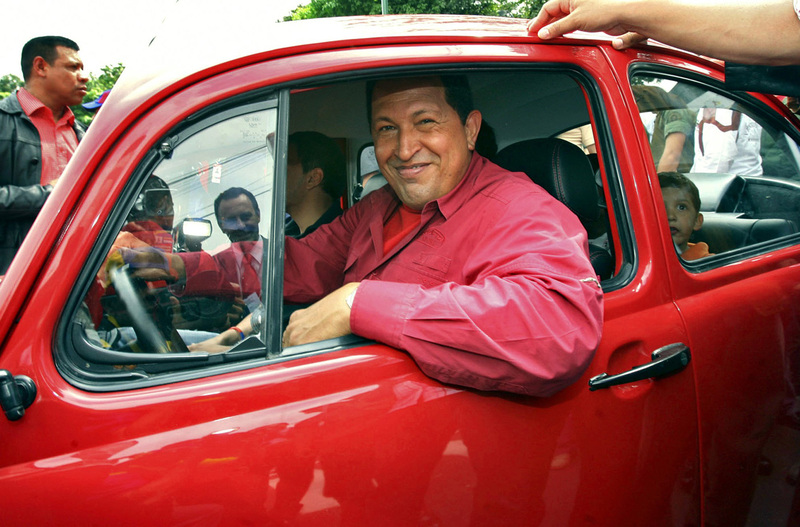 Chavez wasn’t just a Latin American leader, he was an international sensation. Time went by and the President didn’t arrive. People were getting anxious waiting for so long – punctuality in Austria was strict and they weren’t used to waiting. A while later, the presidential protocol folks asked me to go on stage with the rest of the delegation. We had to do something, they said, the people were waiting for too long to just leave them in limbo. I went to talk to the other members of the delegation, which including Nicolas Maduro, then President of the National Assembly, legislator Juan Barreto and Planning and Development Minister Jorge Giordani. “They president is not coming”, they told me. “So what are we going to do now?”, I asked. “We can’t just go out there when they are expecting Chavez”. Two hours had passed from the start time of the event and the public was restless. We went to talk to the organizers, a group of friendly European activists. We told them about the possibility that Chavez wouldn’t come. He was tired and already resting in the hotel, preparing for the heads of state summit the following day. The news hit them like a rock. It wasn’t possible, they said. Never before in history had so many people come out to a public place to hear a head of state from anywhere. We had to understand the historic importance of the moment. We understood clearly that under no circumstances could we replace President Chavez before that crowd. It was Chavez or nothing, o better yet, it had to be Chavez, period. We took footage of the venue and thousands present, and we sent it with the Presidential Guard and the President’s assistants, asking them to please convey the importance of the event to him so he would come. Two hours went by and it was now nighttime, but no one had left. People actually kept arriving. They stayed alert singing “Uh Ah, Chávez no se va” in Spanish and in German, “Chávez geht nicht”. After four hours under the beautiful full moon of Vienna, anxious for the arrival of the Comandante of the XXI century, there was movement. Chavez had seen the images and he understood the magnitud of the moment and the importance of speaking before European youth. Despite his fatigue and lack of sleep, he appeared, radiant, smiling as he looked upon the young crowd. The arrival of the President was met with an impressive applause from the public around 10pm. The brilliant light of the moon reflected on the awe and intensity of the faces in the crowd. Everyone was completely attentive, listening hard to the Venezuelan leader. And President Chavez was inspired by the attention and dedication of the Viennese youth, and there outside “Arena”, he launched into a master class about building an international revolutionary movement. He talked about “The Triangle of Victory”, comprised of three principle factors: political objectives, strategy and power framed within conscientiousness, commitment and organization. Everyone stayed during the two hours that Chavez spoke, listening carefully to every detail about the international revolutionary project, showing their support and approval in applause, chants and smiles. “They accuse us of wanting to build an atomic bomb”, exclaimed Chavez. “But we aren’t interested in having atomic bombs. The empire can have all the atomic bombs. We don’t need an arsenal of bombs to save the world. We are the atomic bombs! And above all, youth of the world, you are the atomic bombs…bombs of love, passion, ideas, strength, organization”. Sixty-four European media outlets covered that historic event in Vienna. “The Che Guevara of the XXI century”, they called him, fascinated with what had happened that night under the full moon. Never before had a head of state gone out to the streets to speak with the people. Never before had so many people spontaneously gathered outdoors in Vienna to hear a head of state speak, let alone one from Latin America. Chavez brought the love and sincerity of the Venezuelan people to Austria, and the people of Vienna received him with open arms. When he ended his speech, Chavez looked at the glorious full moon that had illuminated the event. “Ah…”, he said. “That full moon, so beautiful, makes me want to grab a guitar and go with you all to the Danub river to sing until dawn”. The glimmer in his eyes gave away his sincerity. It was a special moment, those that occur only once in a lifetime. It seemed like an intimate gathering amongst friends, although most of us didn’t know each other. But, we shared a love for justice and a dream for a better world. Chavez was just another brother in the fight for that dream. Years later, Chavez’s international influence turned him into the number one enemy of Washington. Someone of his humility, sincerity, courage and conviction was not common, especially as the president of the country with the largest oil reserves on the planet. The threats against Chavez were constant, attempts against his life never ceased. There was a systematic aggression against his government from the most powerful interests in the world, together with their agents in Venezuela. They gave their all against Chavez. A leader of his stature, influence, strength and dignity, with an immense capacity for love, was dangerous for the imperial agenda. They did what they could to neutralize him. We may never know if his death was provoked or not, although enough evidence exists to investigate. What we do know is that his mortal departure was not a goodbye. Men like Chavez don’t disappear, though some wish they would. 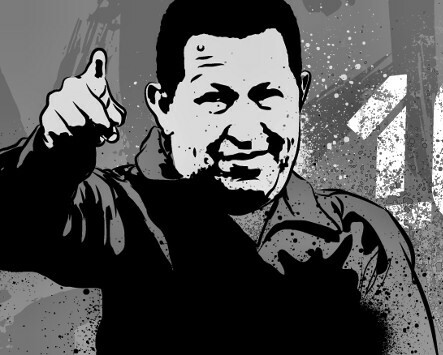 Chavez’s legacy lives today and grows beyond the Bolivarian Revolution. His voice is present in every cry for freedom, his gaze is seen in brave young people who defy powerful and dangerous interests to expose truths. His love is present in the solidarity and heartfelt commitment that millions feel for revolutionary Venezuela. His strength and dignity guide the defense of the Patria Grande, today under threat again from those who seek to erase us from history. Chavez will never disappear. His presence will continue to grow and multiply in every soldier of peace, every warrior for justice. Smiling, with a heart of gold, Chavez will always be a giant under the moon.